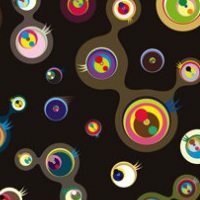 Welcome to greenartasia.com, run by Green Art Asia, an exclusive Art + Design consultancy that specializes in Chinese contemporary art for art lovers, highlighting a handpicked, curated selection of art works and art furniture from emerging and established artists around the world. Green Art Asia also curates exclusive private and personal collections available for select VIPs, private collectors and companies. 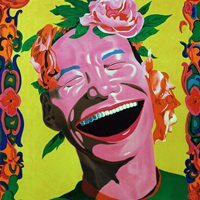 Featured Artists of Green Art Asia includes Andy Warhol, Keith Haring,Li Chen, Nanqi, etc. Green Art Asia embraces a distinctive mark through online and pop-up exhibitions held at varying secret locations, Green Art Asia meets the high demands to decorate people’s lives. Greenartasia.com is happy to help you find art pieces and design art furniture for your home, office, clubhouses and more. ART HOME is the first-ever Secret Art Pop-Up private viewing exhibition series established in Hong Kong by Green Art Asia. 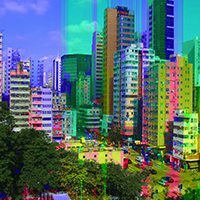 Since November 2014, Green Art Asia has been continuously building ART HOME, creating surprising changes with different locations and themes every single time. Set inside an actual home, ART HOME provide a pleasant, intimate atmosphere to bring exclusive art lovers, collectors and VIPs together in a secret home location from Hong Kong, to Basel, Switzerland, and to wherever. Green Art Asia invites you to “Follow Your HeART to Your HOME” to ART HOME. For more information about ART HOME and the previous special exhibitions, click here. ART is our passion; a strong passion that we want to pass on to everyone of you! Green Art Asia is supported by art lovers, curator-friends, art professionals & experts passing on the thought of ART x PASSION. Our mission is to decorate people's lives through creating a bridge between artists and art lovers and promote contemporary art and artists around the world, while focusing on Chinese Contemporary Art. Green Art Asia meets the high demands to decorate people’s lives. 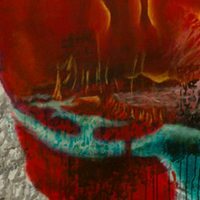 Greenartasia.com is happy to help you find art pieces and design art furniture for your home, office, clubhouses and more. Our tailor-made artwork collection and commissioning artworks service is available around the clock. Our collection of up-and-coming and emerging Chinese artists consist of those by promising, auction-proved Artists, as well as those with great potential across different styles and genres. The door of passion for Art opens with Green Art Asia's philosophy to curate, share and tell the story of art and its many styles and forms. The story began when an artist and gallerist decided to spread passion for art through showcasing, education and communication. Green Art Asia is supported by art lovers, curator-friends, and professionals with art as passion in mind, passing on the thought of love-all for arts.